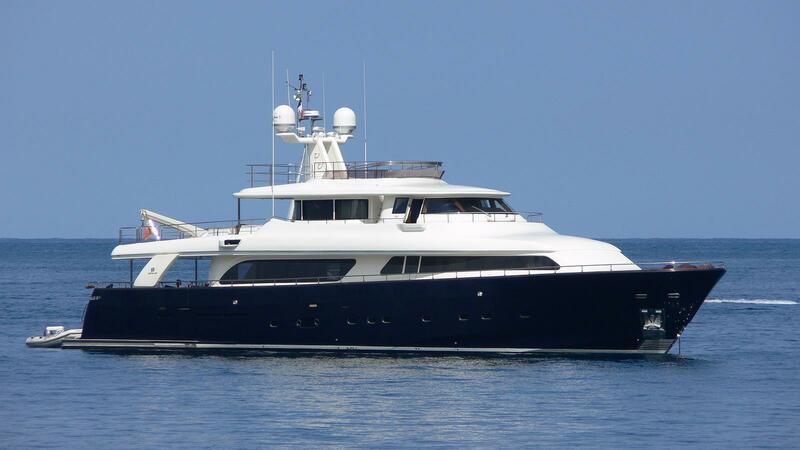 Motor yacht LAVINA is a 2007 CRN Ancona and she is avaiable for charter in the Western Mediterranean. 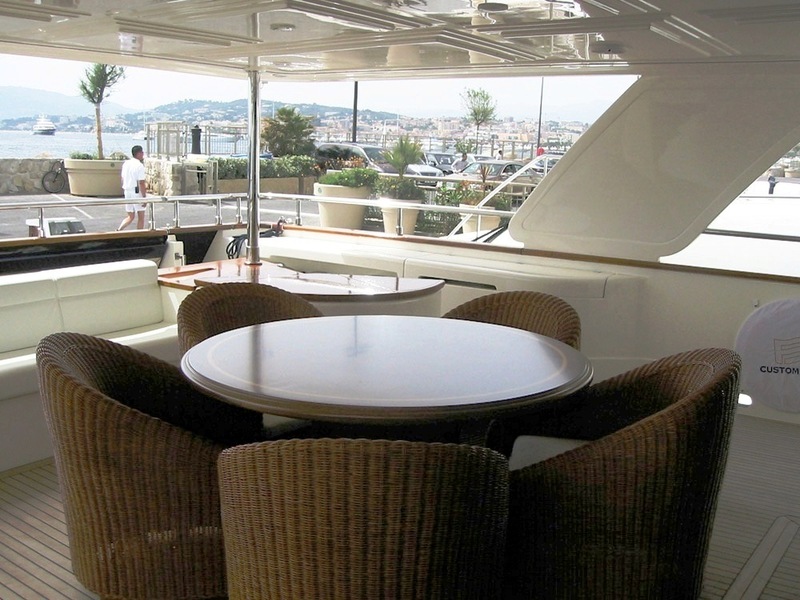 The Italian yard CRN are becoming increasingly well known for building some large steel yachts (such as GIVI & ABILITY) as well as composite planning yachts like ANNE MARIE and LAVINA. 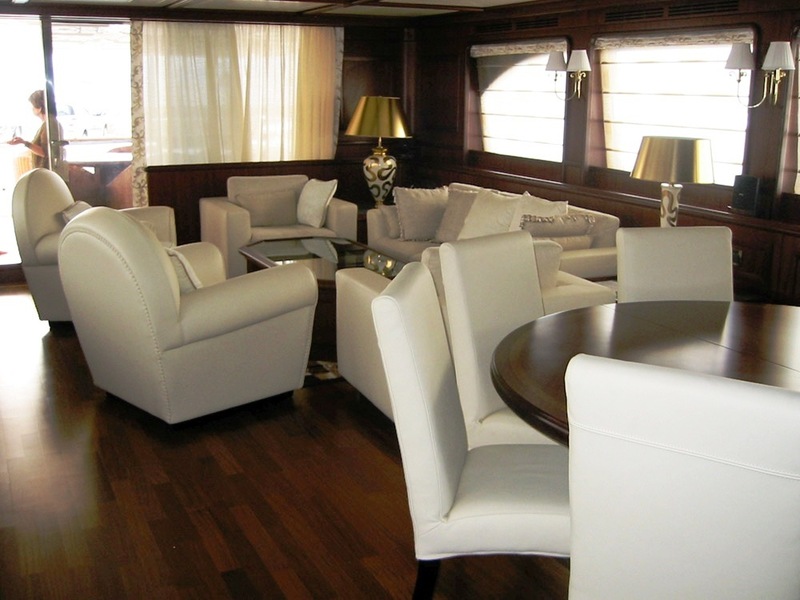 M/Y LAVINA provides charter guests with modern and ambient styling both inside and out. 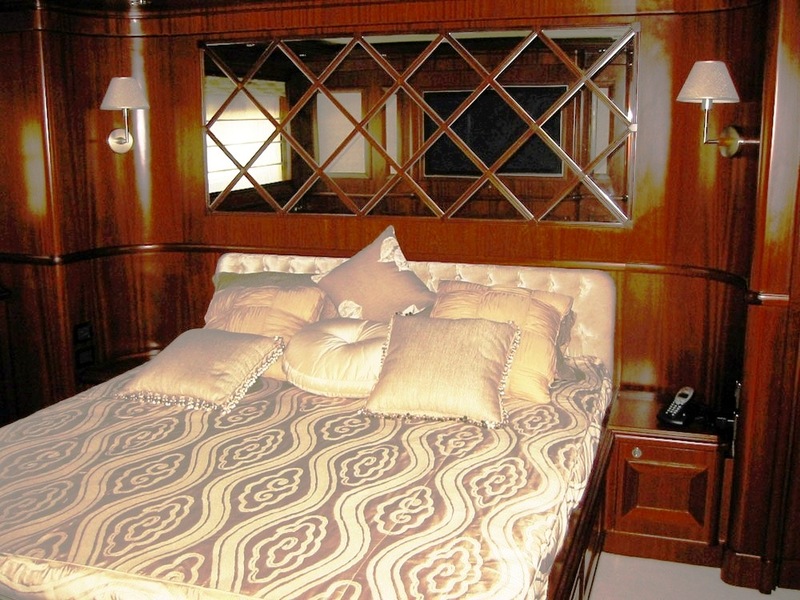 Her interior features a clean wooden finish, along with plenty of windows and lighting. Her soft furnishings are also contemporary but utilize natural colours and exude a tranquil feel. 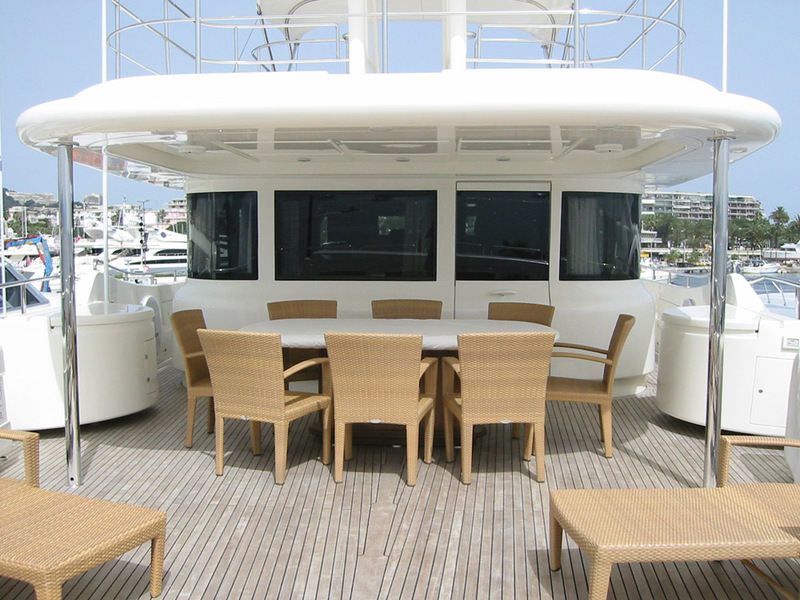 Her exterior incorporates comfortable al fresco dining areas as well as functional and sunbathing spaces. 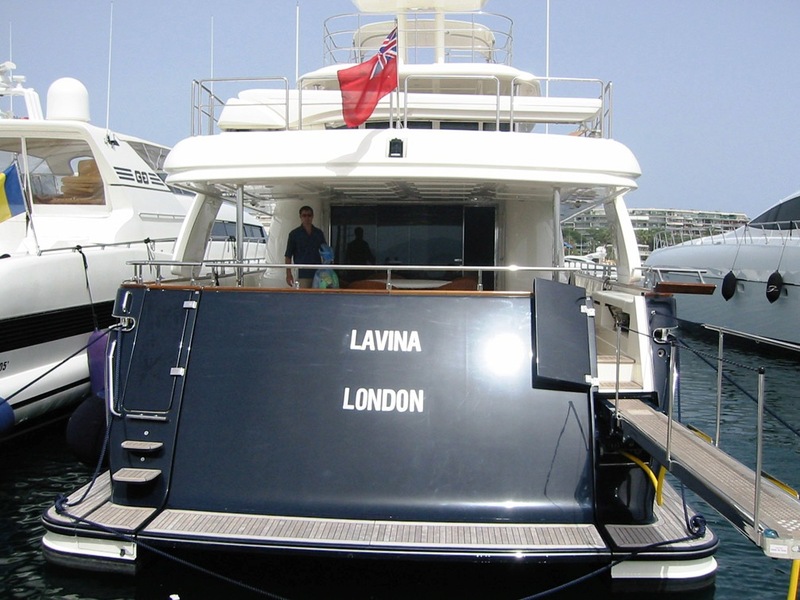 Being a light composite semi displacement design LAVINA is able to conserve fuel whilst cruising at respectable speeds (14 knots) but she can also ‘break the shackles’ and move towards a top speed of 20 knots. 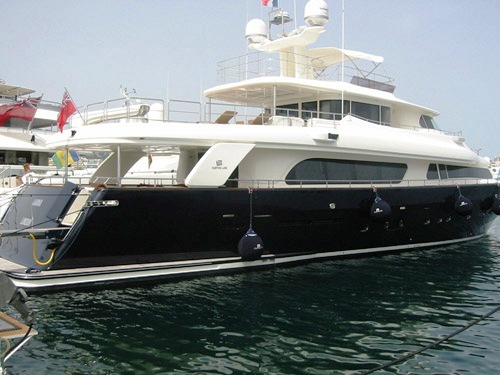 The means she is well suited as a charter yacht because it is possible to travel quickly between the pick of the western Mediterranean ‘hot spots’. 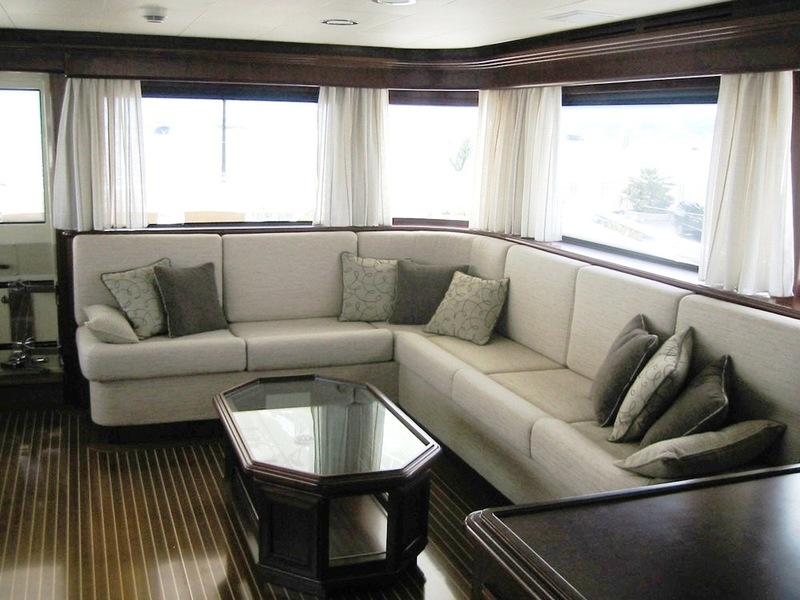 She accommodates up to 10 guests sleeping overnight and 12 guests during the day cruising – see accommodation layout configuration details below. 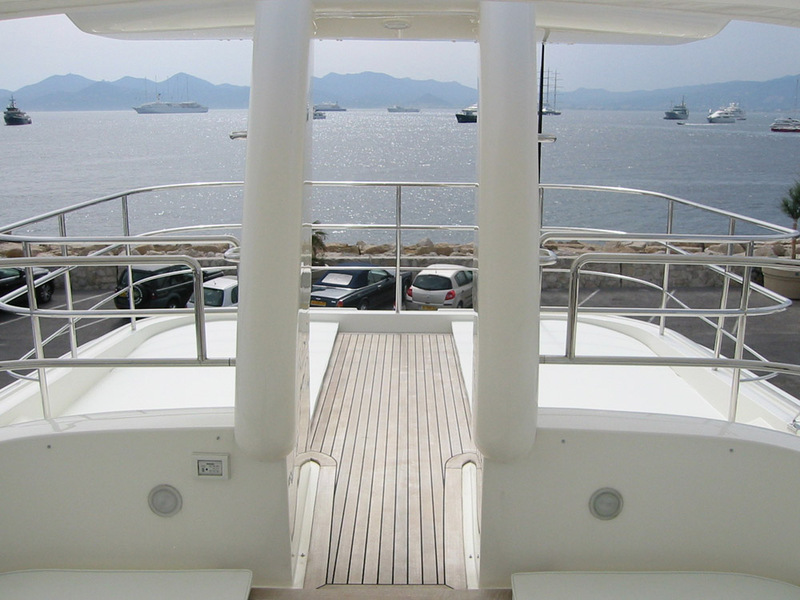 The luxury yacht also boasts a full collection of water toys and onboard amenities. 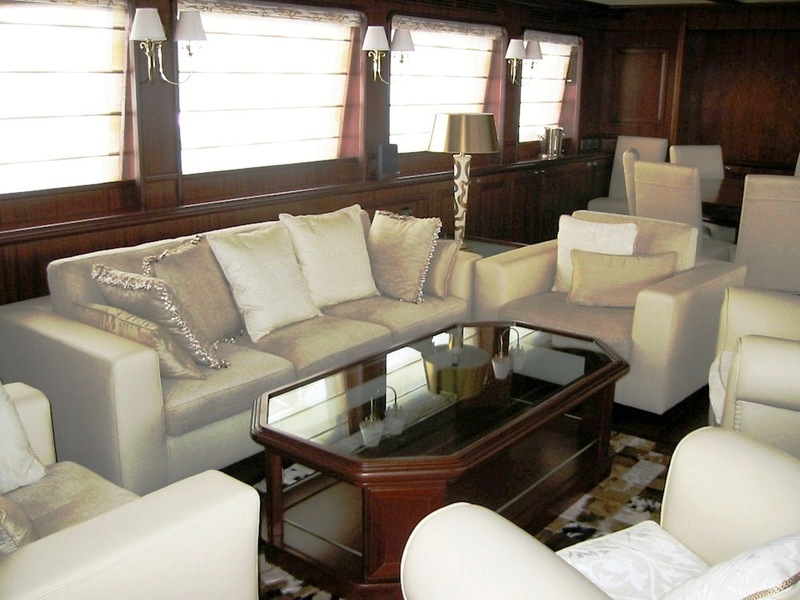 LAVINA has the following Guest Accommodation: Master on main deck with shower and spa pool - sat TV VIP with Shower and spa pool - sat TV VIP no 2 with shower and Sat TV 2 x twins with shower and both with pullman. 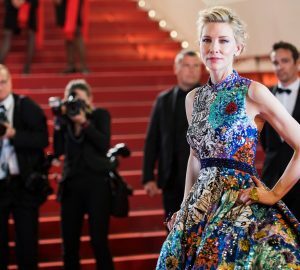 She has the following amenities: Tenders & Toys WATER SKI - WAKEBOARD SNORKELING EQUIPMENT. 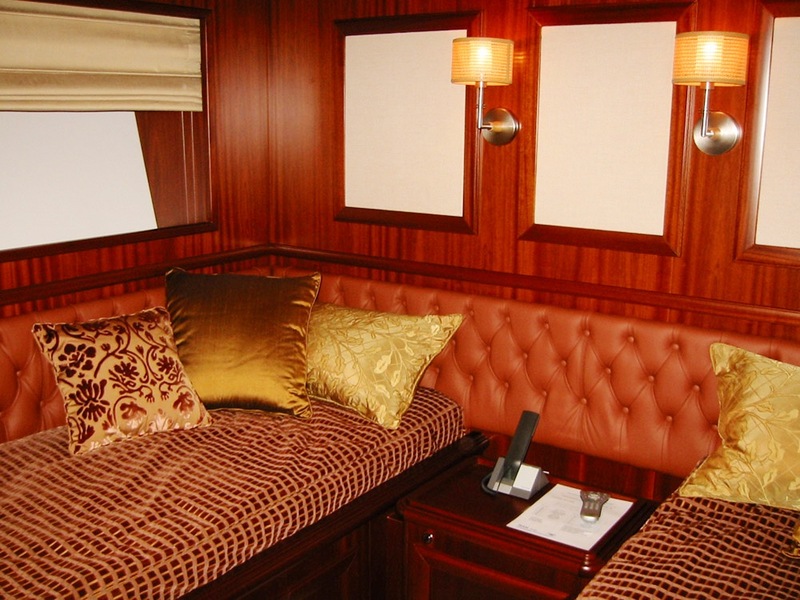 Audio Visual Equipment and Deck Facilities Sat TV decoders in every cabin and saloons. Surround sound equipped in the main saloon. Communications Cell phone and fax and internet connection.